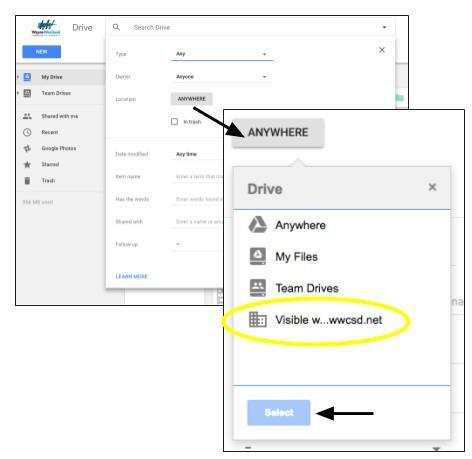 If you have shared (or have been shared) a file or folder with the status “can find and access” by anyone in the district it will NOT appear in your “Shared with Me” folder in Google Drive automatically. You will need to discover the file or folder first by searching. 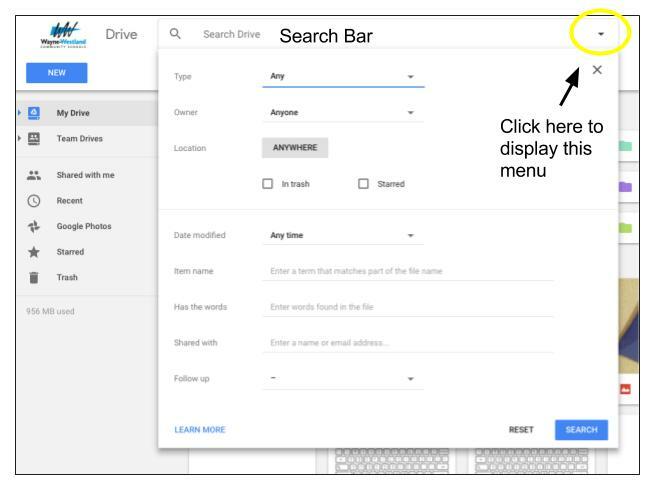 Click the small arrow at the end of the search bar to show the advanced search settings. Under Location it says “Anywhere” – this refers to “anywhere” in your Drive – Change this to say “Visible to your network”. Optional: If you know who the owner is you can change “anyone” to a specific person. Find the file/folder and click on it to open. It will now appear in your “Shared with Me” folder of your Google Drive.